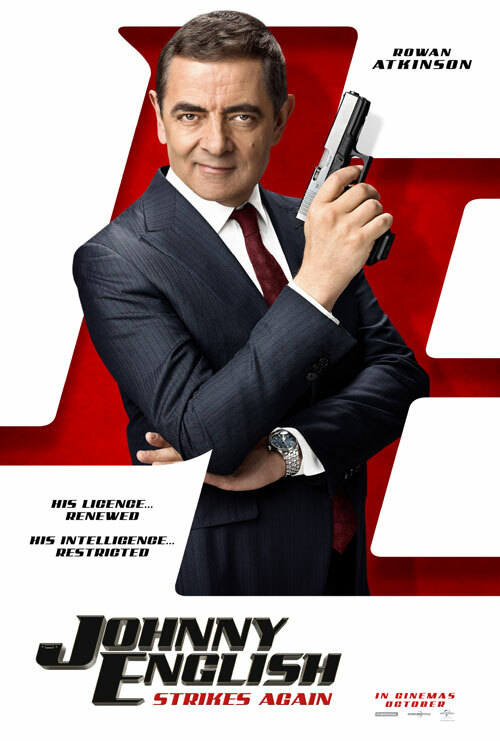 Rowan Atkinson is back as the hapless eponymous hero in Johnny English Strikes Again. The film arrives in UK cinemas October 5 and stars Ben Miller, Olga Kurylenko, Jake Lacy and Emma Thompson. Rowan Atkinson continues to put his considerable talent into this forever forgettable spy spoof franchise because, somewhat surprisingly, it makes a hearty return on investment. Perhaps Johnny English is the lesser of two evils: imagine if the Blackadder star indulged in more Mr Bean movies! While it remains a hit at the box office (but not with the critics), we’ll probably see more of these James Bond meets Mr Bean escapades, the latest of which arrives October 5. Johnny English Strikes Again is the third instalment of the series about the “accidental secret agent”. This time, a cyber-attack exposes all active undercover agents in Britain leaving Johnny English as the secret service’s only hope of saviour. Struggling to cope with society’s modern technology in the age of the connected generation, English heads off in search of the mastermind hacker hoping stupidity and pratfall are the ingredients to saving the world. Johnny English Strikes Again is released in UK cinemas October 5.